Ryanair has today announced its first flights to Ukraine, with new routes departing from the UK, Sweden, Hungary, the Netherlands, Germany and Poland. The airline said it would operate 15 weekly flights, with five of them from Kiev airport to London Stansted and three to Manchester. It also will launch four weekly flights from Kiev to Stockholm Skavsta and three more to Eindhoven in the Netherlands. The airline also announced seven new routes from Lviv airport in Ukraine to Berlin, Budapest, Eindhoven, Krakow, London, Munich Memmingen and Wroclaw. "Ryanair is pleased to announce that low fares have arrived in Ukraine, our 34th country of operation," Ryanair's chief commercial officer David O'Brien said in a statement. The new Ukraine flights will start in October. The airline has forecast that 510,000 customer would use the new routes to and from Ukraine annually. Ukraine's Minister of Infrastructure Volodymyr Omelyan said that the arrival of Ryanair in Ukraine is without exaggeration, a remarkable event for the country. 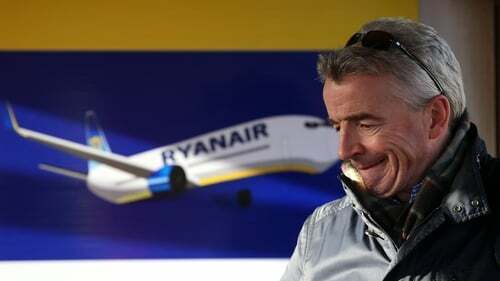 "I am convinced that Ryanair will be another bridge that connects the infrastructure of Ukraine with Europe and it will be a good signal for the world's major investors," the Minister added.